Normally if you buy cards from us.the cards have random numbers. If you need to write the card with your NEW numbers.then We would offer you RFID demo software. and guide you how to write cards,you could also refer to manual. 6) Can your software be translated into our local language? For the time being we only have English and Chinese version. But we could provide demo tool to translate according to your demand. 7: What if I have questions? 7.Could your UHF readers be used in any country? Normally,different country have different frequency regulations. Our UHF reader could work from 860mhz to 960mhz. please refer to the help guide within the software for further instruction. Or, contact S4A Technical Support. 2: You can change the open delay for any and all doors. 3: You can unlock or lock any and all doors by changing the control state. 4: If the doors are set to “Door Closed” mode, it is the equivalent of a lockdown. No doors will open with cards. 5: The “Door Controlled” option is the normal operating state for the Contactless Card Management system. 6: The attendance and Patrol features are explained further in the help guide within the software. Additional information and complete help file is available in the software under help>manual. Peripheral Control: To configure inputs and outputs of the ACB-001 ACB-002 ACB-004input/output modules. 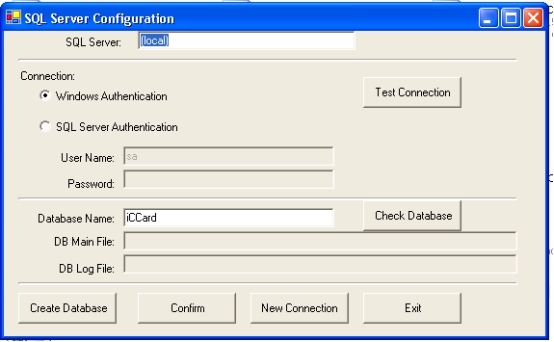 Password Management: For dual-factor authentication or manual entry of card number. Anti-Passback: Enables/defines parameters for the anti-passback feature. Interlock: Enables/defines multi door interlock feature. that if one of them opens a door (or doors), the door(s) remain open until a selected time. Console: Check and adjust time, upload, download, remote open and monitor time options. Check Status: Checks the communication status of doors. 8 : Are there any health risks associated with RFID and radio waves? RFID uses the low-end of the electromagnetic spectrum. 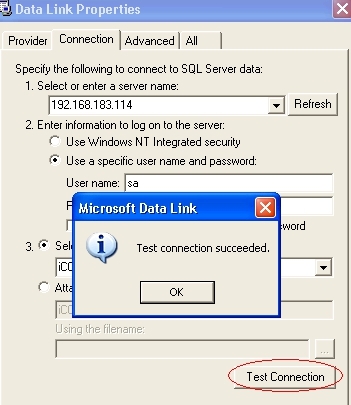 Run the program “SQLServerConfig.exe” under the software installation directory in your computer. 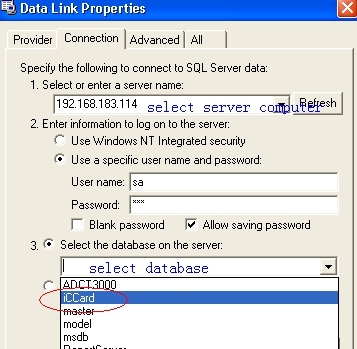 Now, SQL server database sharing successfully. 9.What is the installment angle for UHF reader? It is best to install at a 45-degree angle from the horizontal line. We suggest you test the detecting effct before installment.